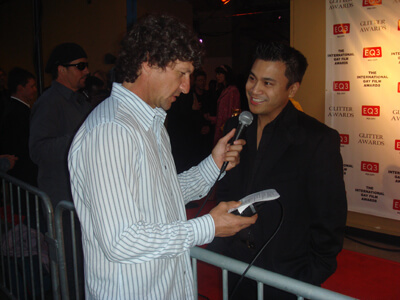 May 26, 2007, actor and host, CHRISTIAN MORALDE is scheduled to attend the 2007 GLITTER AWARDS at the Studio Plaza connected to Hollywood’s Kodak Theatre. Recognizing achievement in filmaking, Moralde is feted to join in honoring such motion pictures as Miramax‘s THE NIGHT LISTENER, Sony Pictures‘ QUINCEANERA, Fox Searchlight’s THE HISTORY BOYS and many others. Red Carpet is scheduled to begin at 7:00 p.m.